Scrumpy & Western website. Made In Somerset from cider! The Scrumpy & Western Gig Guide. The Wurzels at Proper Job, Northload Street, Glastonbury, Somerset BA6 9JJ. 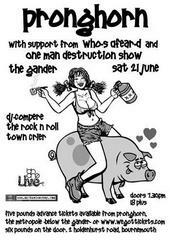 Free show as part of the official opening of the DIY store 'Proper Job' in Glastonbury. The Wurzels and Shane Solomon at King Arthur's Arms, Fore Street, Tintagel, Cornwall PL34 0DA (01840 770831) Limited numbers, so advanced booking is essential. The Yetties and The Casterbridge Male Voice Choir (7.30pm) at St. Mary's Church, Edward Road, Dorcester, Dorset DT1 2HJ. Tickets from members of the choir, on the door or ring Geoff Faulkner on 01308 897275. The Mangledwurzels (9pm) at Mardons Social Club, Nightingale Way, Midsomer Norton, Somerset BA3 4NL Tickets £1.00 members, £2.00 non-members. Mart Connors and the Carrot Crunchers (8pm) at East Garston Social Club, East Garston. Tickets £10.00 (includes Supper). Tickets available from East Garston Social Club, Deana Carpenter 01488 648308 or Tony Hawkins 01488 648341.
Who's Afear'd and Shinkick Privateers (aka Surfin' Turnips Unplugged) at The Seven Stars, St Thomas Street, Bristol BS1 6JJ (0117 376 3970) Suggested donation of £2.00, proceeds will go towards Bristol Radical History Week projects; The Seven Stars being best remembered for it's links to the abolition of slavery. The Yetties (7.30pm) at St. Edmund's Church Hall, Lanehouse Rocks Road, Weymouth, Dorset DT4 9HZ. For tickets, contact Rod Adams, 21 South Road, Wyke Regis, Weymouth, Dorset, DT4 9NR; tel. 01305 785811. The Yetties at Halsway Manor, Crowcombe, Taunton, Somerset TA4 4BD (01984 618274). SOLD OUT! An annual all-singing, all-dancing weekend at Halsway. This sold out well in advance but if you are interested it may be worth giving the Manor a ring in case of cancellations. Bill Bailey, Robin Ince, Chris Addison, Will Smith, Tim Vine and others (7.30pm) at 'Stand Up For Animals' at Hammersmith Apollo, Queen Caroline Street, Hammersmith, London W6 9QH (Enquiries: 0870 380 0017; Box Office: 0870 606 3400) Charity gig for the benefit of animal welfare charity WSPA. Tickets £25.00 - £15.00 in advance. The Yetties at Sutton Folk Club at Sutton Village Hall, Church Road, Sutton, Sandy, Bedfordshire SG19 2JY (01767 260041) For ticketing information contact Phil Lane, 26 High Street, Sutton, Sandy, Bedfordshire SG19 2NE. The Yetties (8pm) at Antrobus House, 39 Salisbury Road, Amesbury, Wiltshire SP4 7HH. For ticketing information contact Mrs. G. Warren, 87 Countess Road, Amesbury, Wilts., SP4 7AT. Tel. 01980 622000. The Wurzels at Family Race Day at Fontwell Park Racecourse, Fontwell, nr Arundel, West Sussex BN18 0SX (01243 543335) This is one of Fontwell's popular Family Race Days with The Wurzels playing live during the afternoon. There will also be a Food and Drink Fair, Cider Bar, fun fair rides, bouncy castles, face painters and free colouring bookings for the children. Admission starts from £17 and children aged 15 and under are admitted free of charge. Jump Racing: First Race: 2.15pm; Last Race: 4.55pm. The Wurzels and Bristol Bierkeller Oompah Band (8pm) at Easter Thursday Double Bill at The Bierkeller, All Saints Street, Bristol BS1 2NA (0117 926 8514) Tickets: £14.00 in advance. Note: change of date of this event! The Yetties at Norton Sub Hambdon Village Hall, Norton Sub Hambdon, Somerset TA14. This is a charity fund-raiser to raise money for Folk South Wests Live Wires helping youngsters to learn, play and appreciate the traditional music of the West Country. Tickets from Folk South West, The Stables, Montacute House, Montacute. Somerset, TA15 6XP. Tel. 01935 822911. 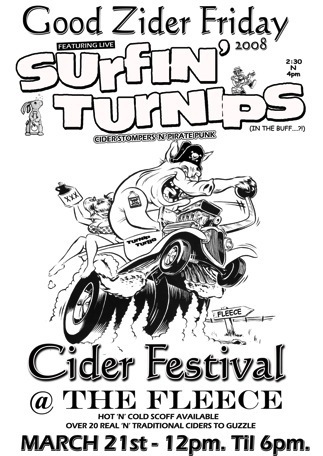 Surfin Turnips (noon-6pm) at Cyder Friday at Fleece and Firkin, 12 St Thomas Street, Bristol BS1 6JJ (0117 945 0996) From the folks who brought you Cyder Sunday, comes Cyder Friday! Authentic live West Country music and wide selection of real local cyders. Hot and cold food available. Live music from 3pm. The Yetties (7.30pm) at Upton Community Centre, Poole Road, Upton, Poole, Dorset BH16 5HX (01202 621570) For ticketing information contact Mrs. C. Hannaford, 13 Gurjun Close, Upton, Poole, Dorset, BH16 5QR. Tel. 01202 624549. The Wurzels at The Black Dog Beer Festival at The Black Dog, Main Street, Broadmayne, Dorchester, Dorset DT2 8ES (07990 810689) The beer festival runs over Easter weekend (21st–24th) with over 20 real ales, ciders and beers from around the country. Easter Sunday special features The Wurzels playing in the marquee from 1.00pm; tickets £10.00 in advance. Free live music throughout the rest of the weekend. 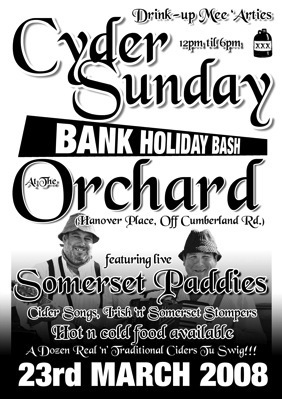 Somerset Paddies at Cyder Friday at The Orchard Inn, Hanover Place, Cumberland Road, Bristol BS1 6XT (0117 926 2678) Live West Country & Irish music and wide selection of real local cyders. Hot and cold food available. The Yetties (7.30pm) at Digby Memorial Church Hall, Digby Road, Sherborne, Dorset DT9 3LQ (01935 891569). Concert is in aid of the Friends of The Yeatman Hospital. For ticketing information contact John Bramich, Marston Cottage, Marston Road, Sherborne, Dorset, DT9 4BJ; tel. 01935 812841; or at Sherborne Tourist Information (opposite Digby Hall); tel: 01935 815341. Julie Felix, Megson, Hamish Currie and Malcolm Hobbs (7.30pm-11pm) at Paul Gunningham Memorial Folk Festival at The Orange Tree, Norton Road, Baldock, Hertfordshire SG7 5AW. Tickets: Friday concert: £15.00 (Fri evening), £8.00 (Sat afternoon); £12.00 (Sat evening), £18.00 (all day Sat), £25.00 (Fri & Sat evening only), £30.00 (weekend ticket); £6.00 (workshop), Session & Morris Dancing: Free. Paul Gunningham was the founding webmaster of the Scrumpy & Western and Wurzelmania! websites. If you are in the area, please support this event. The Yetties at Corn Exchange, Red Lion Yard, Market Place, Blandford Forum, Dorset DT11 7AF (01258 454500). Concert is in aid of the local Scouts. For ticketing information contact Kevin Bowran, Fernside, Leigh, Sherborne, Dorset, DT9 6HT. Tel. 01963 210204. Paul Gunningham Memorial Folk Festival at The Orange Tree, Norton Road, Baldock, Hertfordshire SG7 5AW. 11.30am - Baldock Midnight Morris: Dancing for your pleasure! George Papavgeris, Robin Harper, Chris Sissons & Tim Durrant, Steve Last & Christine Connolley (2.30pm-5pm) at Paul Gunningham Memorial Folk Festival at The Orange Tree, Norton Road, Baldock, Hertfordshire SG7 5AW. Details above. Jez Lowe and Kate Bramley, Tam Lin and James Meadows/Steve Lacey (7.30pm-11pm) at Paul Gunningham Memorial Folk Festival at The Orange Tree, Norton Road, Baldock, Hertfordshire SG7 5AW. Details above. The Yetties at Musical Heritage of Thomas Hardy Concert in the Puddletown Village Hall, Puddletown, Dorset DT2 8RX. Tickets £10 each. Postal application with stamped/addressed envelope please to The County Administrator, DFWI Ltd. (to whom the cheques should be made payable), County House, 58 Icen Way, Dorchester, Dorset, DT1 1EW. This is being run by the W.I. but they have opened it up to other. Best be quick if you want to come along. The Mangledwurzels (9pm) at Royal Oak Inn, Stoke St Gregory, near Taunton, Somerset TA3 6EH (01823 490296) Tickets £2.00; available from pub. Limited numbers, so advanced ticket recommended. The Yetties (8pm) at Annual Ceilidh Night at Barrow Village Hall, High Street, Barrow, Bury St Edmunds, Suffolk IP29. For ticketing information contact Sylvia & Mike Rodbourne, 43 Ley Road, Barrow, Bury St. Edmunds, Suffolk, IP29 5DJ. Tel. 01284 810577. The Yetties at Charity Dinner & Concert in Chideock Village Hall, Chideock, Bridport, Dorset DT6. Concert is in aid of the Weldmar Hospice. For ticketing information contact Duncan Salter, 14 Arundell, Chideock, Bridport, Dorset, DT6 6RY. Tel. 01297 489632. The Mangledwurzels, Tim Pitman and Helena (8pm) at Charity Fundraiser for Happy Landings Animal Shelter at The Queens Arms, Wraxall, Shepton Mallet, Somerset BA4 6RQ (01749 860201) Tickets £5.00 on door. The Yetties (7.30pm) at The Exchange, Old Market Hill, Sturminster Newton, Dorset DT10 1QU (01258 475137). Tickets from The Exchange, Old Market Hill, Sturminster Newton, Dorset, DT10 1QU. Tel. 01258 475137. The Yetties (7.30pm) at Central Studio, Queen Mary's College, Cliddesden Road, Basingstoke, Hampshire RG21 3HF (01256 417511) For ticketing information contact Maurice Hockley, 27 Neville Close, Basingstoke, Hants., RG21 3HG. Tel. 01256 421867. Chas & Dave and The Wurzels at the Cream Tea Festival (Queen's Birthday) at the Riviera International Centre, Chestnut Avenue, Torquay TQ2 5LZ. Tickets on sale from the Torquay Tourist Information Centre, 5 Vaughan Parade, Torquay TQ1 1AA (0870 707 0010) shortly. The Yetties at 31st Maltings Beerex 2008 at Farnham Maltings, Bridge Square, Farnham, Surrey GU9 7QR (01252 745444). Famous not only for its excellent selection of real ales, ciders and perries, but also it's fun filled atmosphere. Initial ticket availability will be from 7am on Sunday 4th March, at Farnham Maltings. Call the box office or email FarnhamBeerex@btinternet.com for more information. The Wurzels, Filthy Gorgeous (Scissor Sisters tribute band), Iowa Four (harmony quartet) and The Whalers (folk comedy) (7pm) at Kingsbridge Charity Music Concert in Quayside (Kingsbridge) Leisure Centre, Rope Walk, Kingsbridge, Devon TQ7 1HH. Charity event in aid of The Devon Air Ambulance and The Renal Unit, Derriford Hospital. Tickets £20.00 each – available from Kingsbridge Tourist Information Centre (01548 853195). Licensed Bar, Food and Grand Charity Raffle (First Prize HD Ready flat screen TV worth £500, plus lots more fab prizes). Parking available in the Quay Car Park or a bus service around the town of Kingsbridge. Contact James Parker on 07968 222008 or email charityevent@hotmail.co.uk for raffle tickets and further information. The Mangledwurzels at Bonjour Brighton Raceday & West Cider Festival at Brighton Racecourse, Freshfield Road, Brighton BN2 9XZ (01273 603580) The Bonjour Brighton Raceday, in association with Transmanche Ferries, has seven horses races as the cream of racing battle it out to be among the first winners of the season; first race: 2.10pm; last race: 5.25pm. Other events include the West Country Cider Festival with over 60 ciders and perrys for sale, The Mangledwurzels playing two complete sets - plus the usual hog roast and hot dogs. Also the Upsan Down’s Derby, authentic French and Sussex markets, St George Vs The Dragon race, and the decadent Moulin Rouge bar complete with Can Can dancers! Tickets: Premier Badges - £18.00 on the day / £16.00 in advance; Grandstand & Paddock badges: £13.00 on the day / £11.00 in advance; Concessionary Grandstand & Paddock badges (Students, OAP’s and Registered Disabled): £9.00 on the day only. Under 16’s are admitted FREE when accompanied by a paying adult. Grandstand and Paddock and Concessionary badges can be upgraded to Premier badges on racedays for £5.00. The Yetties (7.45pm) at Catshill Middle School, Meadow Road, Catshill, Bromsgrove B61 0JW (01527 872431). For tickets and further information contact Kevin Pearson, 13 Haynes Close, Catshill, Bromsgrove, Worcs., B61 0LX. Tel. 01527 575532. The Yetties (7.30pm) at Drax Hall, North Street, Bere Regis, Dorset BH20 7LD. For tickets and further information contact Kathleen Jeeves, Larkspur, Snowhill, Bere Regis, Dorset, BH20 7JD, or tel 01929 471175. The Plonkers Agricultural Orchestra - Sark Earth Fayre, Sark, Channel Isles (Sark 832027) An earthy celebration "step back in time" Complimenting the local farmers and Sark way of life, (before it vanishes). Live music, Local food, and much more. For more details and tickets please log on to www.simplysark.com or telephone Sark 832027.
Who's Afear'd (10am to 4pm) at Dorset Knob Throwing and Frome Valley Food Festival at Cattistock, Dorset [map here] Besides Knob Throwing there will be additional fun knob attractions including Knob Painting, a Knob & Spoon Race, Knob Darts, a Knob Pyramid and guess the weight of the Big Knob. Free parking and other more traditional entertainment will be laid on to make this a really enjoyable day out with a difference. For the uninitiated the Knob is a spherical biscuit produced by Moores the Dorset bakers since 1860. For further details please contact Nigel or Shelley Collins on 01300 320404. The Plonkers Agricultural Orchestra (9.30am-4.30pm) at Sparsholt College Countryside Day at Sparsholt College, Winchester, SO21 2NF (01962 797395) The famous Sparsholt College is open to the public, plus in their village fete area; free parking. The New Forest Plonkers (10am to 5pm) at Bill Targett Memorial Steam & Vintage Rally, Colden Common, Eastleigh (023 8061 3593) Annual event organised by the Eastleigh Vintage Machinery Preservation Society. Raising money for the Wessex Cancer Trust. There will be a wide variety of arena events on both days as well as the chance to view a wide range of steam and vintage machinery. Tickets £4.00 adults, £3.00 Child/OAP, £10 Family ticket. The Mangledwurzels (8.30pm) at Unity Club, Leigh Road, Street, Somerset BA16 0HA (01458 446183) Private members club; guests welcome - please call for details. The Cutlers of Cornwall, Illumination Brass, Gerry Lee Trio, N.T.S.S. and the Nightchasers Roadshow (1pm) at Precious Lives Appeal Fundraiser at White Hart Hotel, The Square, St. Keverne, Helston, Cornwall TR12 6ND (01326 280325) A fundraising day and music festival in aid of the Precious Lives Appeal. Some of Cornwall's top musicians will be performing throughout the day; The Cutlers Of Cornwall are playing at 3.30pm and 5.30pm. In addition, exepct various competitions during the day including a Karaoke/Talent contest, half yard of ale, pool and darts. There will also be a BBQ, quizzes, bingo, games and a tombola. Landlord Mark Saffill has hosted previous fundraisers at the White Hart in aid of various charities and hopes many people will turn up to support this worthwhile cause and the entertainers who are all performing free of charge. The New Forest Plonkers at Sherborne Castle Country Fair at Sherborne Castle Fairground, Sherborne Castle, Sherborne (08700 115622) Advanced tickets on sale now. Prices: £10.00; £9.00 in advance; Senior Citizens (advance tickets only) £7.50; children £3.00; £2.70 in advance; Under 5s Free; Family Tickets (advance tickets only) £20.00. The Wurzels and DJ Tomo at Fantasy Farm Park 10th Birthday at Fantasy Farm Park, Hafod Peris, Llanrhystud, Aberystwyth SY23 5DA (01974 272285) Celebrating 10 yrs of Fantasy Farm Park. Evening begins at 6.30pm with the rides; live entertainment follows. Admission strictly by tickets only £5.00. Dress code: Wellies! The Wurzels (9am-6.30pm) at Royal Bath & West Show at The Showground, Shepton Mallet, Somerset BA4 6QN (01749 822222) The show runs from May 28th-31st; The Wurzels will be making their annual appearance on the Wednesday - times as yet to be scheduled (see the Bath & West website for confirmations nearer the day). Advanced tickets now available now £17.00 / £15.00 OAP & Concessions; children can get in free when adult tickets are bought in advance. Buy online or call the ticketline on 01749 822222. Tickets on the gate: £20.00 / £18.00 concessions / £6.00 children. The Rotary Club of Wareham present The Wurzels (6.30pm) at Charity Beer Festival at Rye Hill Farm, Rye Hill, Bere Regis, Dorset BH20 7LP. Licenced bar and hog roast with all proceeds going to charity. Gates open at 6.30pm; free car parking on site. Tickets £15.00 available from Rtn Kevin Crocker on 01929 472327. The Yetties (8pm) at St. Andrew's Community Hall, Lower Sea Lane, Charmouth, Dorset DT6 6LR. For tickets and further information contact David Jex, 48 Crescent Road, Caterham, Surrey, CR3 6LF; tel 01883 343019; or buy your tickets at The Royal Oak Pub in Charmouth. Fred Wedlock and Three Piece Suite at Templecombe Medieval Pageant, Manor House, Templecombe, Somerset. For more information contact Helen on 0117 904 8957. The Wurzels have a Tuesday night summer residency at the Templestowe Hotel, Tor Church Road, Torquay TQ2 5UU (01803 299499) on the following dates - Jun 3rd, 10th, 17th, 24th; Jul 1st, 8th, 15th, 22nd, 29th; Aug 5th, 12th, 19th, 26th; Sep 2nd. Please note that these events are for hotel residents only, and unlikely to be open to the general public. Anyone wishing to spend 'Summer Time at the English Riviera' should contact Majestic Tours on 01626 770246, or email enquiries@majestictours.co.uk for hotel booking information. Fred Wedlock at St John Ambulance Charity Night at Mendip Spring Golf Club, Honeyhall Lane, Congresbury, BS49 5JT (01934 852322) For more information contact John Slater on 0117 953 5880. The Yetties at Gillingham & Shaftesbury Showground, Motcombe Turnpike, Shaftesbury, Dorset. Concert in a marquee to raise money for the show which was washed out last year. For tickets and further information contact Ron Cake on 01747 824137. The Cornish Wurzells, Black Velvet, Cornwall College Big Band, Professor Goodvibes and Dean Woods on the Western Morning News Stage at The Royal Cornwall Show, Royal Cornwall Showground, Wadebridge, Cornwall PL27 7JE (01208 812183). The Cornish Wurzells will be playing at 10.30am, 2.00pm and 5.30pm. The Mangledwurzels, Kent Duchaine, Groove Train, Stress, and Howling At The Moon at 13th Holt Music Festival, Marquee Stage, Holt Playing Field, Holt, near Trowbridge, Wiltshire BA14 6QH. This is an all-day music festival running from 1.30pm to 11.30pm (with a 90 minute music break at 6pm). There are also fairground rides, stalls, games, refreshments, hot food and an all day fully licensed bar making this a fun day out for all the family. Tickets cost £14.00 (all day), £11.00 (evening only) and £4.00 (afternoon only); accompanied children under 14 free. Advance bookings (before 31st May): day tickets £13.00; evening session £10.00. Call 01225 782357 for advanced tickets. The Mangledwurzels are opening the music entertainment at 2.30pm; followed by blue maestro Kent Duchaine (3.45pm), folk duo Howling At The Moon + guests (at 5pm & 7.30), Stress (8.30pm) and Groove Train (9.45). 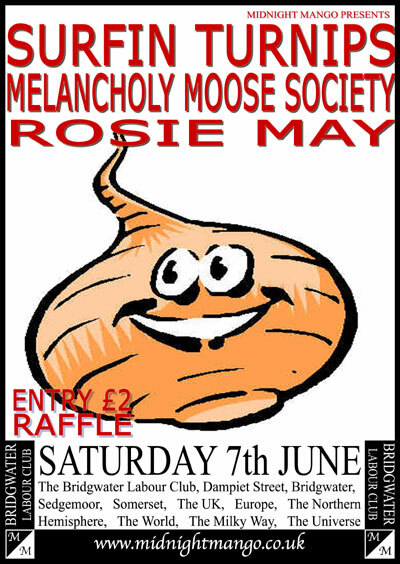 Midnight Mango presents Surfin Turnips, Melancholy Moose Society and Rosie May (8pm) at Bridgwater Labour Club, Dampiet Street, Bridgwater, Somerset. Entry £2.00; pay on the door. Cheap drinks all night and raffle. The Wurzels (7pm) at Hogshead Inn, Great Treadam, Llantilio Crossenny, Abergavenny NP7 8TA (01600 780410) Tickets £20.00 in advance including the famous Hogshead hog roast. Tickets go on sale towards the end of March; but over half have already been pre-booked, so I would advise calling the venue ASAP! The Yetties (7.30pm) at Durley Memorial Hall, Durley Street, Durley, Southampton SO32 2AR. For tickets and further information contact Mrs. Anne Collins, Kytes Lane, Durley, Southampton, SO32 2AE. Tel. 01489 860236. Fizzy Milk, Everything We Left behind, Park Rangers (7.30pm) at Rockers Live, 60 Bridge Street, Taunton, Somerset TA1 1UD (07837 375997) Tickets £3.00 on the door. The Yetties at Hinton St Mary Tithe Barn, Hinton St Mary, Dorset. For tickets and further information contact Jenny Hawker, C/o Dorset History Centre, Bridport Road, Dorchester, Dorset, DT1 1RP. Tickets £8.00, cheques made payable to Friends of Dorset Archives (FODA). The concert is to raise money for this organisation. The New Forest Plonkers at Whiteparish Fete, Whiteparish, near Salisbury, Wiltshire. The New Forest Plonkers will be playing in the afternoon, times to be confirmed. The Wurzels plus support (3.00pm) at Summer Lawn Concert at Coombe Lodge, Blagdon, Somerset BS40 7RG (01761 463355) Tickets £10.00 in advance; children under 12 free. Gates open 3pm, performance from 4pm. The Mangledwurzels and Rockmungus (7pm-midnight) at The Pucklechurch Beer & Cider Festival at The Star Inn, Castle Road, Pucklechurch, Bristol BS16 9RF (0117 937 2391) Over 20 real ales and 10 farmhouse ciders. Tickets: £11.00 weekend ticket (limited numbers! ), Friday £5.00; Saturday £8.00. Food available on the night. The Mangledwurzels are performing on the Friday from 9pm; Rockmungus play on the Saturday. The Wurzels & Cleverly Brothers at The Bradford Festival at The Beehive Field, The Beehive, 263 Trowbridge Road, Bradford-on-Avon, Wiltshire BA15 1UA (01225 863620) Tickets prices £15.00 in advance or £17.00 on the gate. The Yetties (7.30pm) at The Assembly House, Theatre Street, Norwich NR2 1RQ (01603 626402) For tickets and further information contact Peter Taylor, 3 Peddars Way, Thorpe Marriott, Norwich NR8 6UN; tel: 07989 892931, or email petertaylor49@hotmail.co.uk. The Mangledwurzels at Priddy Sheep Race at Priddy Village Green, Priddy, Somerset BA5 3BB The sheep races begin at 6pm with six races finishing at around 9pm, when The Mangledwurzels start their set. There will be bouncy castles & roundabout rides for the kids, and the usual refreshments, etc. for everyone. See here for pictures of 2005 event. The Yetties (8pm) at Aston Village Hall, Aston, Bampton, Oxfordshire OX18. For tickets and further information contact Sylvia Brown, 12 Coate Road, Aston, Bampton, Oxon., OX18 2DX. Tel. 01993 850553. The New Forest Plonkers (6pm) at Lytchett Matravers Carnival Day at Lytchett Matravers Village Hall, 91 High Street, Lytchett Matravers, near Poole, Dorset BH16 6BJ (01202 623904) Hog roast at the Village Hall. Who's Afear'd (3.30pm) at Harry Paye Day at Poole Quay, Poole, Dorset. Open air gig on Poole Quay - a day full of fun activities, floats, paddling races, live music, fancy dress and much more celebrating Poole's most notorious pirate. The Yetties at Folk Night at The Folly Inn, London Road, Towcester, Northamptonshire NN12 6LB (01327 354800). For tickets and further information contact the landlord Brian Taylor; email info@cdrltd.co.uk. The Wurzels at Honiton Motel, Turks Head Lane, Honiton, Devon EX14 1BL (01404 43440) Tickets on sale from mid-April; prices and times to be confirmed. The Mangledwurzels (7.30pm) at Calne Liberal Club, 2 Oxford Road, Calne, Wiltshire SN11 8AB (01249 812129) Ticket price to be confirmed; call for details. The Wurzels at Avalon Stage at Glastonbury Festival 2008, Worthy Farm, Worthy Lane, Pilton, Glastonbury BA4 4BY. After last's year's fiasco, The Wurzels have been confirmed as appearing on the Avalon Stage at the Glastonbury Festival this year. See the official website for the full-line-up. Tickets are still available, so get in there fast to snap up another piece of Wurzels history-in-the-making! The Wurzels plus local support and disco at Festival In The Field at Hornisham Village Hall & Playing Fields, Horhisham, Longleat Estate, Warminster BA12 7LY (01985 844333) A family-friendly fund-raiser for local village organisations. Hog roast, burger bars, beer and cider tent. Tickets on sale from the start of May through Ticketmaster or local Tourist Information Centres; prices £11.00 with concessions for children (prices tbc). The Yetties at Barn Dance at Bosworth's Nurseries and Garden Centre, Finedon Road, Burton Latimer NN15 5QA (0800 0260553). For tickets and further information contact Brian Mutlow, 44 Finedon Road, Burton Latimer, Northants., NN15 5QB; tel: 01536 723544. The Mangledwurzels will be playing during the afternoon on Saturday (times to be confirmed); other acts include Anita Doth from 2-Unlimited, Angie Brown, Boney M, Sash, Right Said Fred, Complete Madness, Scissor Sisterz, Chico, Kelly Llorena from N-Trance, Jaki Graham, Girls Alouder, Def Mightbe' Oasis, Legend, Dr and The Medics, Bruce Parker, Abba Rival and the Caribbean Harmonics Steel band. The Wurzels have a Tuesday night summer residency at the Templestowe Hotel, Tor Church Road, Torquay TQ2 5UU (01803 299499) on the following dates - Jul 1st, 8th, 15th, 22nd, 29th; Aug 5th, 12th, 19th, 26th; Sep 2nd. Please note that these events are for hotel residents only, and unlikely to be open to the general public. Anyone wishing to spend 'Summer Time on the English Riviera' should contact Majestic Tours on 01626 770246, or email enquiries@majestictours.co.uk for hotel booking information. Bill Bailey (8pm) at Riverside Studios, London (020 8237 1111). Bill is returning to London for two nights only. With the impending tour of Australia and New Zealand getting ever closer, this is one of the last chances to see Tinselworm in the UK, and it is likely to sell out quickly. All tickets priced at £20.00. The Mangledwurzels at Puxton Park 1st Birthday at Puxton Park, Cowslip Lane, Hewish, Weston-super-Mare BS24 6AH (0844 800 2295) Admission [normal charges apply] adults: £4.50, children (4-16yrs): £6.50, children (3yrs & under): free; consessions: £4.50; Family Tickets (2+2) also available. The Mangledwurzels will play two sets provisionally at noon and 2pm. The Mangledwurzels, Ross Kirk and other at The Canal Inn Music and Beer Festival, The Canal Inn, Wrantage, Taunton TA3 6DF (01823 480210) This is a two-day festival of beer and music. The Mangledwurzels are playing at 9pm on the Saturday evening. The Yetties on the Bluebell Railway, Sheffield Park Station, East Sussex TN22 3QL. The Yetties will perform two one-hour sets with a 30 minute interval at Horsted Keynes station. There is a special train departing Sheffield Park station at 6pm with the return train departing Horsted Keynes station at 9.45pm. Train and show ticket £16 per person; show only ticket £11 per person, food hampers containing a finger buffet £10. Discounted prices are available if you book before 31st May 2008. Queen-B, The Somerset Paddies and Revivalz (6.30pm) at The Big Bash at Oldbury On Severn Village Cricket Club, The Playing Fields, Westmarsh Lane, Oldbury on Severn, BS35 1QD BBQ, Bar, children's bouncy castle and other entertainment. Tickets from Jim Russell on 01454 415410 or email tickets@oosvcc.co.uk. The Mangledwurzels, Capricorn Band, Jazzmagic, Bagshot Concert Band and Harbour Pipes and Drums at Alton Show, Froyle Park Showground, Hampshire GU34 4LB (01243 430806) The Mangledwurzels will play two sets provisionally at 12.30 and 2.45pm. The New Forest Plonkers at Lymington Band Stand, Bath Road, Lymington. Performance & Collection for charity. Westhorpe Events present The Wurzels plus local support from MenergyX and Franks Tanks (6pm) at Lodge Farm, Westhorpe, Stowmarket, Suffolk IP14 4TA (01449 781078 / 781286) Charity fundraiser with a licensed bar and locally sourced BBQ available through the evening. Tickets £14.00 (no concessions) from Westhorpe Events at the Lodge Farm address; cheques made payable to 'Westhorpe Events'. Please use the attached booking form or email Patrick Barker at events@ejbarker.co.uk for more information. The Cutlers Of Cornwall (9pm) at The Illogan Zider Festival at The Railway Inn, Illogan Highway, Redruth, Cornwall TR15 3EF Free entry. Bill Bailey at Eden Sessions at The Eden Project, Bodelva, St Austell, Cornwall PL24 2SG (01726 811911) Tickets £25.00 plus booking fee. The Mangledwurzels at the 23rd Annual Sherston Boules Day, Village Hall Field, Sherston, Wiltshire SN16 0LH Full details to be confirmed; The Mangledwurzels should be playing abour 3pm. The Yetties at Yetminster Village Hall, Yetminster, Dorset DT9 4BW. Annual extravaganza at The Yetties' home village. Concert tickets from Ron & June Page, 3 Bucklers Mead, Yetminster, Sherborne, Dorset, DT9 6LA (01935 872940); for any other information, camping etc., call Garth Hentley on 01935 873239. The Plonkers Agricultural Orchestra (noon-4pm) at Marchwood Village Fete, Lloyd Recreation Ground, Marchwood, Hampshire Including fancy dress parade (noon) for the children. Just turn up in your costumes; judging will be at 12.30. Lots of fun for all ages with The Solent Dog Team, The Army with a junior assault course, lots of food, loads of stalls and entertainment of all kinds. The New Forest Plonkers at Woodland Crafts Show, Queen Elizabeth Country Park, Petersfield, Hampshire PO8 8QE. Check the band/venue website nearer the date to confirm dates and times. Admission - Adults: £6.50, Seniors: £6.00, Accompanied under 16s: £3.50, Under 5's: Free. The Mangledwurzels (10am) at the Castle Cary Cavalcade of Motoring at Donald Pither Memorial Field, Castle Cary Cricket Field, Castle Cary BA7 7HG The Mangledwurzels will be playing to 45 minute sets at 12.30 and 2.15pm. The Somerset Paddies (afternoon) at 5th Annual Beer and Cider Festival at Nailsea and Backwell RFC, West End Park, Nailsea BS48 2BP (01275 810818) Three day beer and cider festival. Friday night: no music. Saturday afternoon: Village Fete accompanied by acrobatics, dance and a handful of local performers. Saturday evening: live bands till 10pm. Sunday afternoon: country and folk bands including The Somerset Paddies. Advance tickets £6.00 entitling entry for all sessions over the three days, and includes commemorative glass, programme, tasting notes and your first drink. Tickets on the Day will cost £7.50, and include your commemorative glass, programme, tasting notes and your first drink. Bill Bailey (8pm) at Edinburgh Festival Fringe 2008 at Edinburgh Playhouse, Edinburgh (020 8237 1111). Bill is playing one night only at the Festival. With the impending tour of Australia and New Zealand getting ever closer, this is one of the last chances to see Tinselworm in the UK, and it is likely to sell out quickly. All tickets priced at £20 and £25. Fred Wedlock at Somerton Summer Arts Festival at The White Hart, Market Place, Somerton, Somerset TA11 7LX (01458 272314) For more information contact Colleen Wolski on 01458 273432. Bill Bailey at Latitude Festival at Henham Park, Beccles, Suffolk NR34 8AN. Over ten performance arenas live music, dance, literature and comedy. Headliners are Franz Ferdinand, Sigur Ros and Interpol; Bill headlines on the Comedy Stage. Tickets: £130.00 weekend tickets / £55.00 day tickets. Wurzels at the Camp Bestival 2008, Lulworth Castle, Lulworth Park, East Lulworth, Dorset BH20 5QS (01373 462956). Full line-up includes The Flaming Lips, Chuck Berry, Suzanne Vega, Billy Bragg, Kid Creole and The Coconuts, The Cuban Brothers, Florence and The Machine, King Creosote, Ladyhawke and many more. Tickets: £120 for adult weekend tickets; £60 for children (13-15), free for the under 15s; booking fees may apply. All children under 16 must be acompanied by a paying adult. Tickets include free camping for the weekend; Campervan Tickets £50.00 per vehicle. The Wurzels (6pm to 1am) at Charity Fundraiser at Ashfield House, Windle Hill, Church Stretton, Shropshire SY6 7AP (01694 751261). Charity event raising money for three local charities. As well as The Wurzels, there will be a disco, hog- and beef-roast, prize draw and tombola, licenced bar and bouncy castle for the kids. Tickets £20.00 from organiser Tom Peel on 01694 751261; tickets are already selling well, and this event will most likely sell-out in advance, so get yours soon to avoid disappointment. The Mangledwurzels at The Horsepond Inn, The Triangle, Castle Cary BA7 7BD (01963 350318) Free entry. This replaces the Mangledwurzels gig at the King Arthur in Glastonbury which was cancelled as the venue is no longer doing music. The Wurzels' Big Summer Party at Godney Farm, Godney Road, Godney, Glastonbury BA5 1RX Organised by the Masqueraders Carnival Club. Advance tickets £12.00 in advance from club members, The Twilight Zone, Benedict Street, Glastonbury or Whiteheads News Agents, High Street, Glastonbury. £15.00 on the gate. Fred Wedlock at Midsomer Norton Rugby Club, Norton Down Playing Fields, Midsomer Norton BA3 2UE (01761 41282) Compere and spot with local bands. Details to follow. The Mangledwurzels (noon-4pm) at Camerton Village Day at Camerton Recreation Hall, Meadgate, Camerton, near Bath BA2 0NL (01761 434676) Live entertainment, games and stalls. All money raised goes towards local charities including the Genesis charity. The Mangledwurzels will be playing two sets at noon and 3pm. The Yetties at Yetties Summer Break at Halsway Manor, Crowcombe, Taunton, Somerset TA4 4BD (01984 618274) Concerts, music workshops, lectures, dancing, plenty of audience participation and also free time to wander The Quantocks etc. The theme is Dorset. Come armed with poems, etc., to join in. Tickets - £308 per person full board (en-suite), £280 per person full board (non en-suite). Book early - these events always sell-out! Bill Bailey (8pm) Wimbledon Cannizaro Park Festival 2008 at Wimbledon, London. Further details to be confirmed. The Wurzels at Chicago's Live Party Night at Chicago Rock Cafe, Stars Lane, Yeovil BA20 1NR The Wurzels will be on stage at approx. 10pm. Tickets are priced at £7.00 in advance only; available from the venue. This is a ticket-only event. The Plonkers Agricultural Orchestra (9.30am-7pm) at Welland Steam and Country Rally, Woodside Farm, Welland, Upton-upon-Severn, Worcestershire. Organised by Ross-on-Wye Steam Engine Society. Phone 01531 890417 or 890762 for more details. Tickets Adult £7.50 (Friday) £8.00 (Sat/Sun); Children & OAPs £4.50 (Friday) £5.00 (Sat/Sun); Children under school age: Free all weekend. No idea when and where The Plonkers are playing! The Cutlers Of Cornwall (8pm) at St Buryan Vintage Rally at Trevorgans Farm, St. Buryan, Penzance, Cornwall TR19 6HF. Evening entrance fee by donation. Surfin' Turnips at Farmfest 2008 at Gilcombe Farm, Bruton, near Shepton Mallett BA10 0QE. Weekend tickets £20.00. Check festival website for full details and line-up. The Wurzels and The Blighters (7pm) at Charity Fundraiser at Bath Cats & Dogs Home, The Avenue, Claverton Down, Bath BA2 7AZ (01225 787321) Bar and BBQ available; bring appropriate seating and clothing as this is an outdoor venue. Tickets £16.50 each; on sale now. For more information or to order your tickets call 01225 787333, email events@bathcatsanddogshome.co.uk or download the booking form. This charity relies totally on donations to stay open, and all profits go to animals in need at the Home so let's make sure this is another sell-out concert! Fred Wedlock, Nick Harper, John Tams and Barry Coope, Terem Quartet, Andy Fairweather Low and the Low Riders, Hard Travellers, Don McLean, Ben Waters and others at Trowbridge Village Pump Festival at Stowford Manor Farm, Wingfield, near Trowbridge BA14 9LH (01225 769132) See Village Pump website for ticket prices, and full weekend line-up. The Mangledwurzels (3pm) at Gigs on the Green, Sea Front, Hayling Island, Hampshire PO11 9LN Full details to follow. The Mangledwurzels at Totnes & District Agricultural Show, Berry Farm, Berry Pomeroy, Totnes, Devon TQ9 6LF (01548 821070) The Mangledwurzels will be playing two sets at 12.30 and 4.30pm. Tickets: £10.00 (adults), £3.00 (children), free for under 5s; £20.00 (family ticket - 2 adults+ 2 children). Free parking or free bus service running all day between Totnes and the Showground! Expect Cattle, sheep and horse classes; Lamb Shearing Competition; Dog show; Mounted Pony Games; Terrier Racing; Parade of Hounds; Vintage Cars; Young Farmers competition; Crafts and Food Hall; and Huge variety of trade stands. The Wurzels (9pm) at Cider Festival at Bath Racecourse, Lansdown, Bath, Somerset BA1 9BU (01225 424609 ) Tickets £16.00 - £29.00. First race: 6.05pm; last race: 8.45pm. A host of local ciders available to buy with The Wurzels playing after the last race. Last year this event sold out, so book early to avoid disappointment. This event is sponsored by Gaymer Cider Company - the makers of Blackthorn. Bill Bailey at The Big Chill at Eastnor Castle, Eastnor, Ledbury, Herefordshire HR8 1RL (01531 633160) The Big Chill is a multimedia festival, dedicated to transforming the spirit of our times. Not as hectic as Reading, not as crusty as Glastonbury, and much more intimate, The Big Chill offers its committed community of followers a highly evolved, all-round experience that is completely unique. See / for further details. Line-up includes Leonard Cohen, The Mighty Boosh, Norman Jay, Portico Quartet, Random Quartet, Thievery Corporation, Buzzcocks, Cornelius and others. Tickets: £129.00 adults/£110.00 students/£60.00 teenagers/Under 13s free with accompanying adult/Car Parking from £5.00. The Mangledwurzels (10am-5pm) at Puxton Park, Cowslip Lane, Hewish, Weston-super-Mare BS24 6AH (0844 800 2295) Normal entry prices apply: £7.50 (adults), £6.50 (concessions), £6.50 (children), 3yrs & under go free; Family Ticket (2 adults & 2 children) £25.00. The Mangledwurzels and The River Brew (6.30pm) at Burtle Harvest Home at Burtle Village Hall, Burtle Road, Burtle, Somerset TA7 8NB Burtle Harvest Home is held every 4 years, with evening event with live bands and a hog roast open to villagers and non-residents alike. Advanced tickets available £6.00 contact Shelly Pople on 01278 723415. The Yetties at Kimmeridge, Dorset. Concert to commemorate the 30th Anniversary of the Purbeck Marine Wildlife Reserve. Lots of sea songs are the order of the day. The celebrations go on all day. Concert in the evening. No charge. The Mangledwurzels (10am-5pm) at EDF Energy Bristol Harbour Festival, Lloyds Amphitheatre, Bristol Harbourside, Bristol BS1 5LL (0117 922 3719) The Bristol Harbour Festival features a wide range of entertainment both on and off the water, including music stages, a dance stage, street theatre and water displays, all taking place before a backdrop of hundreds of colourful vessels in the floating harbour throughout the weekend. The Mangledwurzels will be playing one 45 minute set sometime in the Sunday afternoon (details tbc). Who's Afear'd at 5th Endorse-It-In-Dorset Festival, Oakley Farm, Sixpenny Handley, Dorset SP5. Weekend Ticket (including camping): £75.00; camper vans, caravans etc: £20.00. Family Weekend Tickets (2+2): £210.00; Kids Weekend Ticket (10-15 yrs): £40.00; under 10s: £10.00. Three day festival near the village of Sixpenny Handley in the beautiful setting of Cranborne Chase bringing local and international music to Dorset. Other bands also appearing include The Buzzcocks, The Beat, Dreadzone, Pronghorn, Flipron, Cropdusters, Highliners, Subgiant, Imperial Leisure, The Vibronics, Goldblade, Steranko, Fat Drunk & Stupid, Arno Carstens, Optic Nerves, Cash Converted, Guns Of Navarone, Innocent Civilian, Some Dogs, Port Erin, The Displacements, The Thirst and The Favours. The Wurzels, Phil Lowen (comedian) and Scott Bench Taylor (solo singer) at Charity Fundraiser at Bullhorn Farm, Andersea, Westonzoyland, Bridgwater, Somerset TA7 0LU. The show has been arranged to raise money for the Bridgwater branch of Cancer Research UK, and all profits will be donated to the charity. Tickets are £12.50 (including food), from Gary Stephens on 07711 446930, Marie Howes on 07714 102731, Dave Stokes on 07909 567888 or The Puriton Inn on 01278 683464. Hewish, Puxton and Wick St Lawrence Harvest Home Committee present The Wurzels, ReOffender and disco (7pm-midnight) at The Marquee, opposite The Ebdon Arms, Lilac Way, Wick St Lawrence, Weston Super Mare, Somerset BS22 9WE (01934 822919) Annual charity event with fully licensed bar, with a good selection of beers, ciders, wines and spirits at reasonable prices. Pig Roast and Burger Van on Site. Please do not bring your own alcoholic drinks on to the site. Tickets price £10.00; contact 07831 222766 or 01934 834248 for tickets or more information. The Mangledwurzels (11.30am-4pm) at 1st Bristol Cider Festival at the Brunel Passenger Shed, British Empire & Commonwealth Museum, Station Approach, Temple Meads, Bristol BS1 6QH Over 80 ciders and perries, with hog roast, hot dogs and live entertainment from The Mangledwurzels. Tickets £6.00 in advance; more on the door. Tickets on sale from the Pavilion Box Office soon. The Mangledwurzels will be playing at 12.30, 1.45pm and 3pm. The Mangledwurzels (7.30pm-11.30pm) at 1st Bristol Cider Festival at the Brunel Passenger Shed, British Empire & Commonwealth Museum, Station Approach, Temple Meads, Bristol BS1 6QH Over 80 ciders and perries, with hog roast, hot dogs and live entertainment from The Mangledwurzels. Tickets £6.00 in advance; more on the door. Tickets on sale from the Pavilion Box Office soon. Ellingham, Ringwood, Hampshire. The New Forest Plonkers will be playing in the afternoon, times to be confirmed. The Mangledwurzels (9am-5pm) at Camelford & District Agricultural Show, Halwill Barton, Camelford, Cornwall PL32 9SE The Mangledwurzels will be playing three sets (probably in the Entertainment Ring) during the show between 11am and 3.30pm. The Mangledwurzels (7pm) at Cross Rifles, 1 Bath Road, Bridgwater, Somerset TA6 4PH (01278 426459) Free entry; note early start for this gig. 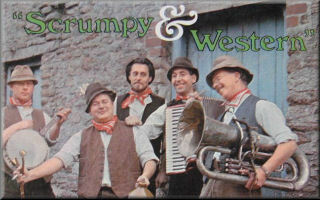 The Cornish Wurzells at West Of England Steam Rally, St Agnes, Cornwall. Event cancelled due to bad weather! The Wurzels plus support at the Buckland Beer Festival, Buckland Showground, Buckland Dinham, Frome, Somerset BA11 2QT (01373 462956) Over 50 beers, lagers, ciders and wines on sale. Advanced Tickets only: £15.00 for Saturday or £20.00 for a weekend ticket. Onsite camping costs £5.00 per pitch per night (motorhome, caravan or tent); limited to 250 so booking in advance is recommended! Tickets are sale now through the festival website or directly from The Bell pub. The Mangledwurzels, The Mad Cows, Madness of King George, Hail! Perestroika, Strychnine, Woe to the Provoker, and DJs Joe90, Lukas, Too Many DJs Not Enough Mikes, Dr Fish and Timmy P at Farmony Festival at Winford, North Somerset BS40. Real ale and cider mini-festival with two stages of live music and DJs. The Farmony Festival will be the first truly organic music festival. Supported by the Soil Association. Tickets cost £20.00 in advance only! from the Farmony website; all under 16s get in free, but must be accompanied by a responsible adult. Free camping. The Mangledwurzels will be on stage at 7pm-8pm. The Mangledwurzels at The Mid-Somerset Show at Shepton Mallet Showground, Cannard's Grave Road, Shepton Mallet, Somerset BA4 4LY Free entry. The Mangledwurzels will be playing two sets in the Entertainment Top Field at 1.15pm and 4pm in between the ferret racing, the terriers and the falconry display. The Somerset Paddies (8.30pm) at The Irish Bar at Butlins, Minehead, Somerset TA24 5SH This will be a three-piece performance with special guest Clair on fiddle. The New Forest Plonkers at 173rd Reading & Wokingham Country Show, Wokingham. Show Cancelled! The Yetties at Gillingham & Shaftesbury Show, Motcombe. Sets through the day in the Entertainment Marquee. This is the biggest and best one-day show in Britain. Don't miss it. The Wurzels at Hornets Rugby Football Club, Hutton Moor Park, Hutton Moor Road, Weston-Super-Mare, Somerset BS22 8LY (01934 621433) Ticket details to follow. The Mangledwurzels, Angelo Starr & The Team, 3 Daft Monkeys, Pondlife, Cornish Sinfonia, Wilderland and Material World (featuring Tasha Leaper) at Watchet Carnival Music Festival, The Down on Parsonage Farm, Watchet, Somerset. The Watchet Carnival Music Festival takes place over the August Bank Holiday weekend (22-24th August); The Mangledwurzels will play two sets between 4 & 6pm on the Saturday (line-up listed is for the whole weekend). Advanced weekend tickets now on sale priced £20.00. The Mangledwurzels (9.15pm) at Ritz Social Club, Victoria Street, Burnham-on-Sea, Somerset TA8 1AN (01278 785365) Members and guests only. The New Forest Plonkers (9am-6pm) at Rudgwick Steam Show, Windacres Barn, Rudgwick, West Sussex RG12 3EG (01403 822378) Tickets: £7.00; £6.50 (Seniors), £4.00 (children) The New Forest Plonkers are playing live set in the Beer Marquee on all three days! The Cornish Wurzells at Morval Vintage Rally, Bray Farm, Nomansland, Looe, Cornwall Event cancelled due to bad weather! The Cutlers Of Cornwall (12.30pm) at York Hotel, The Avenue, Minehead, Somerset TA24 5AN Free entry. The Wurzels, Suzi Quattro, Micky Moody Band (ex-Whitesnake), The Hamsters, Straight Shooter, Pinstripe (5pm) at the MusicDay 2008 at Midsomer Norton Cricket Club, Withies Lane, Midsomer Norton, Somerset BA3 2JE (07806 533172) Tickets �12.50; under 11's free (if accompanied by an adult). Tickets available from Peformance Sports in Midsomer Norton High Street. Credit Card bookings hotline: 07806 533172. The Mangledwurzels (2.30pm) at George Inn, 63-65 Broad Street, Chipping Sodbury, South Gloucestershire BS37 6AD (01454 850096) Free entry. Note change is start time for this gig to 2.30pm (was 6pm). The New Forest Plonkers (9am-6pm) at Rudgwick Steam Show, Windacres Barn, Rudgwick, West Sussex RG12 3EG (01403 822378) Tickets: £7.00; £6.50 (Seniors), £4.00 (children) The New Forest Plonkers are playing live sets in the Beer Marquee on all three days! The Wurzels plus Jefferson Starship, Marillion, Cerys Mathews and many others at The Rock'n'Roots Festival, Rye Meadows, Much Marcle, near Ledbury, Herefordshire HR8 2NL. Tickets now on sale at www.rocknroots.co.uk. Great family days out with three music tents, stalls, craft displays, exotic foods, juggling schools and wine bar set amongst the beautiful green fields of picturesque Herefordshire. The Wurzels are playing on the Monday afternoon. Cancelled! The Mangledwurzels (11am) at Taste of Somerset Festival, St. Mary's Road, Hutton, Weston-super-Mare, Somerset BS24 9SP Free entry. The best of Somerset food, drink, crafts, etc. with The Mangledwurzels playing an evening sessions starting at 8:30pm. The Wurzels and Who's Afear'd plus Bad Manners, London Breakbeat Orchestra, Dub From Altantis, First Degree Burns, Zen Hussies, Dr. Meaker, The Scrub, Troy Ellis and the Longshots, Tragic Roundabout, Los Albertos, Imperial Leisure, The Anomalies, Babyhead, Village Disco, Scubaroots, Smerins Anti-Social Club, Dead Silence, Yes Sir Boss, Bison, Leonard And Bubbas Fantastic Goo Goo Cluster, Gadjo at Rehydrate The West Festival, Fernhill Farm, Cheddar Road, Compton Martin, North Somerset BS40 6LD Tickets £45.00 + booking fee from Bristol Ticket Shop. A three day family fete featuring local acts, artists and performers and a large range of traditional Somerset ciders. Fred Wedlock at Mediaeval Banquet at Hutton, Weston-Super-Mare, Somerset. Contact John Cole on 01934 811424 for more details. The Mangledwurzels (9pm) at Cat & Wheel, 207 Cheltenham Road, Bristol BS6 5QX (0117 942 7862) Free entry. The Wurzels at Bruton Family Day at Jubilee Park Pavilion, Godminster Lane, Bruton, Somerset BA10 0ND (01749 813291) Ticket details to follow. The New Forest Plonkers and various other bands at Great Dorset Steam Fair, Blandford Forum, Dorset DT11 8JA. The Great Dorset Steam Fair Music Festival has live bands across five days on five stages. The full line-up has not yet been announced, but The New Forest Plonkers have confirmed that they are playing in the Country Marquee at lunchtime, and by the New Forest Cider Tent (8pm-midnight) on the Saturday. Fred Wedlock at St. Bernadette's Dinner Dance at The Fry Club, Keynsham, Somerset. Contact alysonlampard@hotmail.co.uk for more details. Fred Wedlock and Three Piece Suite at North Bradley Village Hall, North Bradley, Wiltshire. Contact Pauline Baxter on 01225 765644 for more details. The Wurzels at 35th Haddenham Steam Rally and Show, Haddenham, Ely, Cambridgeshire CB6 3PT(01487 842771) Tickets £7.00, OAPs: £5.00, children: £3.00; family ticket (2+3) £18.00. The Cutlers of Cornwall at Goonfest at Whitemoor, near Indian Queens, Cornwall PL26 7X (01726 861068) Event cancelled due to bad weather! The Mangledwurzels (7pm) at High Ham Village Day, High Ham Playing Field, Long Street, High Ham, near Langport, Somerset TA10 9DN Tickets: £10:00 (adults), £3:00 (under 16s). Tickets available from Scrivens Butchers in Langport, Palmers Snell Estate Agents in Somerton, Maiseys Bakery in Othery and Hellyers Butchers in Westonzoyland. Proceeds in aid of High Ham and Low Ham Churches. The Cornish Wurzells at Queens Arms Beer Festival at The Queens Arms, Botallack, Saint Just, Penzance TR19 7QG (01736 788318) Three day festival with between 30-40 real ales (ciders included) and live entertainment every night. Fred Wedlock at Highbridge Community Hall, Market Street, Highbridge, Somerset TA9 3BW Contact Janet Keen on 01278 782909 for more details. The Mangledwurzels at Ashcott Village Harvest Fair at Ashcott Village Hall, High Street, Ashcott, near Street, Somerset TA7 9PZ Tickets: £6:00 (adults), £5:00 (concessions); £20.00 (family ticket 2+2). Tickets available from Londis Village Stores and the Ring O' Bells pub in Ashcott. No bar; bring your own food and drink. The Plonkers Agricultural Orchestra at Swanage Railway Steam Gala And Vintage Transport Rally at Haycrafts Lane, Harmans Cross, Swanage, Dorset BH19 1HB. The Plonkers are playing from 3-4 pm then again between 8.30-10.30pm. The Somerset Paddies (9pm) at The Swan, Conham Hill, Hanham, Bristol BS15 3AP (0117 967 3947) This will be a three-piece performance with special guest Clair on fiddle. The Wurzels plus three top local live acts (noon) at Super Cider Sunday at Bar BS3, 21 Ashton Road, Ashton, Bristol BS3 2EA (0117 966 4900) Doors open at noon; entertainment starts at 2pm. Tickets on sale from Wednesday 23rd July 2008. Price £15.00 per person in advance. Limited availability. Book Early! The New Forest Plonkers (8pm) at Country Market, Forest Park Hotel, Brockenhurst, Hampshire. Please note date change. The Wurzels at Kings Bar & Henrys Restaurant, Lydney. Date changed to 22nd November. Fred Wedlock and Marie Little at Burntwood Festival Contact Barry Yeates on 01543 271269 for more details. Fred Wedlock at Little Theatre, Sheringham. Contact Scott Butler on 01263 57915 for more details. The Cutlers of Cornwall plus magician (8pm) for Newquay Lions Club at Newquay Sports Club, Newquay, Cornwall TR7 2SL. Tickets £10.00 including full buffet from the Lions Ticket Office 01637 876094. The Yetties (7.45pm) at Sway Village Hall, Sway, Lymington, Hants. For ticketing information contact Tony Blakeley, 1 Middle Road, Sway, Lymington, Hants SO41 6AT (01590 683421), or Pat Fleat (01590 682533). The Mangledwurzels (9pm) at Farmers' Supper at Churchdown School, Winston Road, Churchdown, Gloucester GL3 2RB (01452 855364) Fancy Dress optional with a prize for the best. This is a charity fundraiser in aid of the Churchdown Scout Group. Tickets £12.00 to include half a cider and a Farmers' Supper; contact Carolyn on 01452 855364 for tickets. The Cornish Wurzells plus special guest Reg Quantrill at Falmouth Beach Hotel, Falmouth, Cornwall Event Cancelled! The Mangledwurzels at The Somerset Cheese, Chutney and Cider Fair at Hestercombe Gardens, Cheddon Fitzpaine, Taunton TA2 8LG Appearance Cancelled! The Mangledwurzels (7pm for 7.30pm start) at Glastonbury Town Hall, Magdalene Street, Glastonbury, Somerset BA6 9EL. The event is being held by Street Twinning Association and will also be attended by some of Street's friends from Isny, their German twin town. Tickets cost £15.00 which includes a hot Somerset supper. Tickets are available from Gabbie at the Travel Centre (Bayliss Centre, Street) on 01458 442831, Bernard on 01458 832006 and Barbara on 01458 443397. Admission is by ticket only - no payment on the door. The Mangledwurzels will be playing from 9pm. The Mangledwurzels (noon) at the Farm Experience for the Fenrir Motorcycle Brotherhood at Wilkins Cider, Landsend Farm, Mudgley, Wedmore, Somerset BS28 4TU (01934 712385) Although this is an organised event for the FMB, Wilkins Cider will open to the public as usual, so everyone is welcome to come along watch The Mangledwurzels and sample some of Roger's awesome ciders. Free entry. The Mangledwurzels (7pm) at Harvest Supper at Brent Knoll Parish Hall, Brent Street, Brent Knoll, Highbridge, Somerset TA9 4EH Tickets £14.00 per head; includes Harvest Supper, home-made pudding and a glass of cider or fruit juice. Supper served at 7.15pm promptly! Licenced bar and raffle. Casual dress. Tickets from Brent Knoll Post Office or from Eddie Fuller on 01278 760308. Bill Bailey and the BBC Concert Orchestra at Bill Bailey's Remarkable Guide to the Orchestra at Brighton Dome, Brighton (01273 709709) Bill will be performing his latest show, featuring a 72 piece symphony orchestra as part of the Magners Paramount Comedy Festival. Find out about cockney trombones, bassoon secrets, tv and film themes, and hear brand new versions of some of Bill's songs plus loads more in this irreverent guide to the orchestra, which The Times described as 'blissfully funny' and Stephen Fry called 'wonderfully enjoyable... like driving a Rolls Royce off-road'. Tickets cost £30.00 each and there is a £1.75 booking fee for each order. The Mangledwurzels (noon) at Sedgemoor Auction Centre, Regional Rural Business Centre, Market Way, North Petherton TA6 6DF (01278 662 200) The Mangledwurzels have been invited to provide the entertainment at the new Sunday Market day. The Mangledwurzels (11am-late) at Oktoberfest Somerset Festival of Beers and Ciders, part of the South Somerset Food Festival at Brewers Arms, 18 St. James Street, South Petherton TA13 5BW (01460 241887) The Brewers have a range of events over the weekend of the 3rd-5th October opening at 11am every day. The Mangledwurzels provide the entertainment on the Sunday evening at 9pm with fancy dress (optional!). Jethro, Tucker, Ovation Brothers at Jethro's Club, Lewdown, Okehampton, Devon EX20 4DS (01566 7832323) Sold Out! 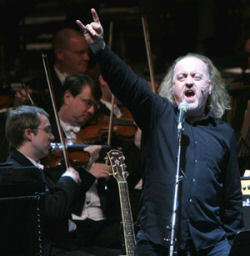 Bill Bailey at Bill Bailey's Remarkable Guide to the Orchestra at Royal Albert Hall, Kensington Gore, London SW7 2AP. Bill will be performing his latest show, featuring a 72 piece symphony orchestra. Find out about cockney trombones, bassoon secrets, tv and film themes, and hear brand new versions of some of Bill's songs plus loads more in this irreverent guide to the orchestra, which The Times described as 'blissfully funny' and Stephen Fry called 'wonderfully enjoyable... like driving a Rolls Royce off-road'. Tickets are priced at £30 for the Circle, £32.50 for the Arena/Stalls and £37.50 for the Boxes. There is also a £3.50 booking fee for each order placed. Bill Bailey and the BBC Concert Orchestra at Bill Bailey's Remarkable Guide to the Orchestra at Royal Albert Hall, Kensington Gore, London SW7 2AP. Bill will be performing his latest show, featuring a 72 piece symphony orchestra. Find out about cockney trombones, bassoon secrets, tv and film themes, and hear brand new versions of some of Bill's songs plus loads more in this irreverent guide to the orchestra, which The Times described as 'blissfully funny' and Stephen Fry called 'wonderfully enjoyable... like driving a Rolls Royce off-road'. Ticketing details to be announced. Tickets are priced at £30 for the Circle, £32.50 for the Arena/Stalls and £37.50 for the Boxes. There is also a £3.50 booking fee for each order placed. The Cutlers of Cornwall (8.30pm) at Mount Charles Social Club, Clifden Road, St Austell, Cornwall PL25 4NX Mount Charles Social Club is a Private Members Club, so some entry conditions apply. More Silage, Borderville and Schuman The Human (8pm) at Swiss Concrete Night at The Wheatsheaf, 129 High Street, Oxford, OX1 4DF Tickets £4.00. The Plonkers Agricultural Orchestra at Steam Pressing Weekend at New Forest Cider, Littlemead, Pound Lane, Burley, Hants. Barry Topp has invited Golly to play at his steam cider press open day. Demonstrations during this 2-day event include a steam driven cider press, hurdle makers, wood turning and its all going be plonkerised, as Golly The Plonker will appearing live (providing he doesn't have too much cider). For more details please check the New Forest Cider website. The Mangledwurzels and More Silage (7pm) at Pilton Working Mens Club, St Marys Lane, Pilton, Shepton Mallet BA4 4BB (01749 890739) Tickets £5.00 in advance and £6.00 on the night. Doors open at 7pm. Fred Wedlock - tour of New Zealand. Check Fred's website for more details about where and when to see him down under. Jethro, Mick Miller, Shaun Perry at Jethro's Club, Lewdown, Okehampton, Devon EX20 4DS (01566 7832323) Sold Out! Fizzy Milk, Downfall, EWLB and more (7pm) at Halloween Show at Bridgwater Arms, Bridgwater. Tickets £3.00 in advance from West Quay Record, Bridgwater. Fancy dress! The Wurzels at Pollyfield Centre Social Club, Avon Road, East-The-Water, Bideford, Devon EX39 4BL (01237 478734) Advanced tickets available from 01237 424550. Somerset Paddies (Sat), Kichen Sink Band (Fri) and Folk Session (Sun) at 2nd Real Ale Festival at Unicorn Inn, Bayford Hill, Bayford, Wincanton (01963 34941) The Somerset Paddies are playing two sets on the Saturday, one in the afternoon and another in the evening. The Wurzels at Templecombe Recreation & Sports Club, Vine Street, Templecombe, Somerset BA8 0JY (01963 370710) Contact the venue directly for more details and ticket prices. The Mangledwurzels (8.30pm) at Cheese & Cider Night at Dings Crusaders Rugby Club, Landseer Avenue, Lockleaze, Bristol BS7 9YS (0117 969 1367) Tickets £20.00 in advance and include Cider, Lager, Wine and a Ploughman’s Supper. Doors open 8.30pm, band on stage at 9pm. Jethro, Shaun Perry + support act at Jethro's Club, Lewdown, Okehampton, Devon EX20 4DS (01566 7832323) Sold Out! Bill Bailey (8pm) in Tinselworm Tour at Gielgud Theatre, Shaftesbury Avenue, London W1V 6AR Sold Out! The Mangledwurzels (8.30pm) at The Victoria, 88 Victoria Road, Swindon, Wiltshire SN1 3BD (01793 535713) All tickets £5.00. Advanced tickets available from The Victoria or 12 Bars (01793 535713) and Swindon Tourist Information. Ticket orders subject to a booking fee of £1 per order (NB not per ticket). The Wurzels at Oake Manor Golf Club, Oake, Taunton, Somerset TA4 1BA (01823 461992) Details and ticket prices to follow. The Wurzels at Kings Bar & Henrys Restaurant, Hill Street, Lydney, Gloucestershire GL15 5HE (01594 842100) Re-arranged from Saturday 20th September. Jethro, David Copperfield, Shaun Perry at Jethro's Club, Lewdown, Okehampton, Devon EX20 4DS (01566 7832323) Tickets £17.50 selling fast! Over 18s only. No denim jeans, no all-male parties; ROAR. No admission after 8.30pm. The Cornish Wurzells at The Eden Project, Bodelva, Cornwall PL24 2SG (01726 811911) A charity fundraiser in aid of the Children's Hospice South West's Precious Lives Appeal. The Cutlers of Cornwall and Jack Glanville - Cornish Comedian (8pm) "Thanksgiving Day Scrumpy and Western Spectacular" at The Bierkeller, All Saints Street, Bristol BS1 2NA (0117 926 8514) All tickets £11.00 in advance from Bristol Ticket Shop. The Wurzels, Pete Burns, Bucks Fizz, Los Palmas 6, Jamie and the First Class, Mitch Basketfield, Material World, Nicola Marie as Amy Winehouse plus others at Skool Reunion at Butlins, Minehead, Somerset TA24 5SH (0870 242 0870) Tickets from £72.00 per person for three days (was £79.00!). Have the best days of your life - all over again! Butlins is hosting the biggest Skool Reunion party to put you back in the mood – everything from the smash hits to the slow smoochers. With original bands, great tribute acts and DJs across two stages for three nights, Skool Reunion is absolutely skill! The Wurzels headline on the Saturday evening. The Mangledwurzels at Badminton Village Club, High Street, Badminton, South Glos. GL9 1DD (01454 218234) Tickets £3.00 non-members; free for members. The Mangledwurzels (noon*) at Frome Xmas Fair in the Xmas Marquee in Frome Library Car Park, Justice Lane, Frome BA11 1BE. The Mangledwurzels will be playing 2 x 45 minute sets sometime between noon and 6pm (tbc). Jethro (7.30pm) at New Theatre (formerly Apollo Theatre), George Street, Oxford OX1 2AG (0870 380 0017) Tickets £18.00. 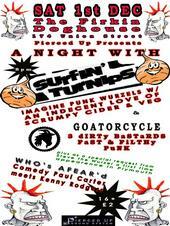 Surfin Turnips, Goatorcycle and Who's Afeard at The Firkin Doghouse, 174 Union Street, Plymouth, Devon PL1 3HL (01752 253226) £2.00 on the door; over 16s only. The Wurzels at Honiton Motel, Turks Head Lane, Honiton, Devon EX14 1BL (01404 43440) Tickets prices and times to be confirmed. 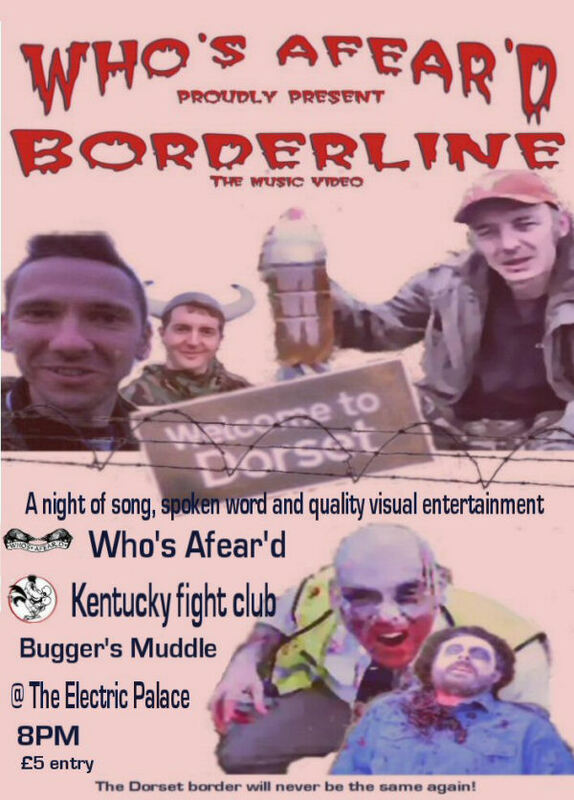 Who's Afear'd with Cash Converted and Kentucky Fight Club (8pm) at The Central Hotel, 81 Commercial Road, Lower Parkstone, Poole, Dorset, BH14 0JB. Tickets £2.00 on the door. Jethro, Shaun Perry + support act (7.30pm) at Jethro's Club Christmas Shows at Jethro's Club, Lewdown, Okehampton, Devon EX20 4DS (01566 7832323) Tickets £30.00 including meal - selling fast! Fred Wedlock and Three Piece Suite in Weston Methodist Church, Newbridge Hill, Bath For ticketing information, please contact David Pendle on 07850 623574. The Cornish Wurzells at Camborne Town Square, Camborne, Cornwall. Afternoon show. Acker Bilk & The New Paramount Jazz Band's Tour of Poland Contact 08707 544544 for more details. The Yetties (8pm) at Christmas Singalong Concert at The Digby Hall, Sherborne, Dorset. Tickets are £7.50 (adults); £6 (children and senior citizens) available from 1st October from 'Rules' (in Cheap Street, Sherborne). Alternatively you can buy them from the Yetties web shop or ring 01935 814611/814667/813890. The Yetties (8pm) at Christmas Singalong Concert at The Digby Hall, Hound Street, Sherborne, Dorset DT9 3AB. Tickets are £7.50 (adults); £6 (children and senior citizens) available from 1st October from 'Rules' (in Cheap Street, Sherborne). Alternatively you can buy them from the Yetties web shop or ring 01935 814611/814667/813890. Bill Bailey (8pm) in Tinselworm Tour at Gielgud Theatre, Shaftesbury Avenue, London W1V 6AR Following a sell-out arena tour of the UK in 2007, and a sell-out tour of New Zealand and Australia in 2008, comedian Bill Bailey brings his new show, Tinselworm, to London for a strictly limited engagement. Fred Wedlock with Rock 'N Reel (ceildh band), Hannah Wedlock (jazz singer) and Johnny Hooper (keyboard king) at Fred's Festive Frolic at Conygre Hall, North Road, Timsbury, Bath BA2 0JG (01761 471294) A night of season comedy, country dancing and singing. Tickets £10.00 from Peter Buchanan on 01761 471818.
Who's Afear'd, Kentucky Fight Club, Buggers Muddle and Drunkun Jed (8pm) at The Electric Palace Cinema, 35 South Street, Bridport, Dorset DT6 3NY (01308 426336) Tickets £5.00. 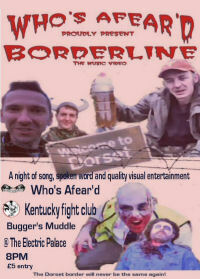 Show includes the video premiere of Who's Afear'd's "Borderline". The Mangledwurzels plus DJ (6pm) at A Scrumpy & Western Boxing Day Party at Radstock Hotel, Market Place, Radstock, Somerset BA3 3AD (01761 420776) Note early start! Live music from 6pm-8pm, followed by DJ 'til late. Free entry. The Yetties (8pm) at Yetties New Year Party at The Digby Hall, Hound Street, Sherborne, Dorset DT9 3AB. All tickets £12.00; available through the Yetties online shop, by mail order or by ringing 01935 814611/814667/813890, or from 'Rules' (Cheap Street, Sherborne). The Cutlers of Cornwall at Clowance Estate & Country Club, Praze an Beeble, Cornwall TR14 0PT Advanced tickets only.